Master's Perfect Fit tool combines 3 tools into 1 device. 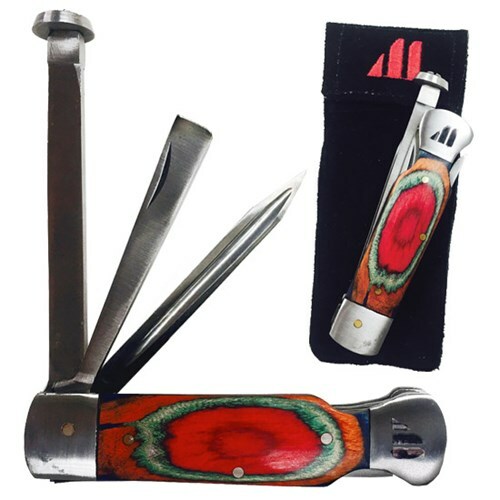 This tool contains a bevel knife, tape removal tool, and workout tool and is made of heavy duty metal and wood and comes with a small black suede storage pouch. This tool is a must have for every bowler's bag. Due to the time it takes to produce the Master Perfect Fit Tool ball it will ship in immediately. We cannot ship this ball outside the United States.